Kenneth Cukier gets in the Babbage time machine and travels to 1989, when Sir Tim Berners-Lee wrote the famous memo that laid the foundations for the world wide web. Kenn speaks to some of the other key figures that influenced its invention, like Ted Nelson and Vint Cerf, and then asks what the WWW might look like in the future. We have an exclusive interview with Dr Huw Griffiths on the mission to investigate a recently uncovered marine ecosystem in the Antarctic. And the author and scholar Shoshana Zuboff explains surveillance capitalism. Also, how the makers of the game Fortnite have the online platforms of Steam and Google locked in their sights. Kenneth Cukier hosts. The latest buzz from the AAAS, the largest general science meeting in the world, from The Economist’s science correspondent, Alok Jha. NASA scientists presented initial findings on how a year in space changes astronauts’ bodies. Why a good sense of humour is required for a successful mission to Mars. And can machines become scientists? Babbage: Will China dominate science? In a special show, we examine China’s impressive scientific advances and question what they mean for the future of the sciences—and of China. Among the guests is the Chinese-American astronaut Leroy Chiao, discussing China’s recent feat of landing a probe on the far side of the moon. Kenneth Cukier hosts. In this special episode of Babbage, we discuss some of the advancements in technology that could change the lives of those living with a disability — an app that is helping those who are visually impaired. Also, how the sit-ski has benefited from research in the aerospace and automotive industries. And, can the symptoms of phantom limb syndrome be harnessed to enhance prosthetics? Kenneth Cukier hosts. In this festive special we look back at some of our favourite stories from 2018. Could IVF could save the northern white rhino from extinction? Also, the discovery of liquid water on Mars. And, how the amphibious life of the Bajau people has led to their unique evolutionary traits. Kenneth Cukier hosts. A Chinese scientist has claimed to have edited the genomes of two babies using the revolutionary genome-editing technique called CRISPR-Cas9. Also, how the production of semiconductors is becoming a new battlefield. And Kenneth Cukier asks the author, technology executive and investor Elad Gil what it takes for a startup to become a technology giant. In the final episode in our six-part series, we look at the scientific and technological advances that will shape the coming year - from algorithms that can make judgments about us online, to robots that are more effective than humans in the work place. Cathy O'Neil, author of "Weapons of Math Destruction" and Shane Wall, the Chief Technology Officer of HP join our hosts. Oliver Morton, our briefings editor, wonders what’s next after Elon Musk’s latest mission to Mars. We ask whether homemade drones can fight conventional armed forces - and could there be lithium under Cornwall? Tim Cross hosts. The world’s biggest technology firms are poised to transform health care. Will it empower patients and lead to a better diagnosis? Also, ways to prevent passengers in driverless cars from feeling queasy. And how genes play a role in the likelihood of divorce. Kenneth Cukier hosts. A Norwegian research vessel has joined the search to find missing Malaysia Airlines flight 370. Can its contingent of self-navigating submarine drones find what others have missed? Also, do we really understand the laws of physics? And what’s new at the world’s biggest gadget show? Hal Hodson and Ananyo Bhattacharya host. Minutes ago, Nature announced an important development in gene editing. Host Hal Hodson and Natasha Loder discuss how this technique is so precise and what this means for curing genetic diseases. Plus, why sperm whales like heavy metal music. And why are we so negative about our future? Miracles in a test tube won't cure cancer; using and adapting the technology we've already got will. Plus how WiFi's little brother LoRa will enable our smart cities to flourish. And why Saturn's space probe Cassini is diving to its death on Friday. As heatwaves sear across Europe and hurricanes wreak havoc in Houston, we ask why extreme weather events are becoming more common. Plus why the anti-inflammatory injection canakinumab will not be the next miracle drug and why Norway might leave $65 billion of oil in the earth. Kenneth Cukier hosts. Most drones today are either cheap toys or expensive weapons. But innovative commercial uses are emerging in the middle, says our deputy editor Tom Standage. Also, physicist Geoffrey West on his theory of scale and how it relates to cities. And do pollsters deserve their bad reputation? The debate over internet regulation is heating up again in America. Also on the show: genetically-engineered bacteria could be used to light up hidden landmines. And voice-cloning technology can now reproduce speech. What does this mean in an era of fake news? Even the deepest reaches of the sea have been contaminated by man-made pollution. Author Alan Schwartz reveals the extent of ADHD overdiagnosis in America. And how is the scientific community reacting to President Trump? Augmented reality technology blends the virtual with the real world, so how might this alter the way humans interact with computers, and each other? Also, we explore how artificial intelligence can enhance selling techniques. How quickly will robots disrupt global industries and what will the implications be? We explore with economist Andrew McAfee at the World Economic Forum in Davos. Also, neuroscientists often compare the human brain to a computer chip, so what happened when the idea was put into practice? Babbage: Can the American election be hacked? Babbage: What&apos;s the matter with the universe? 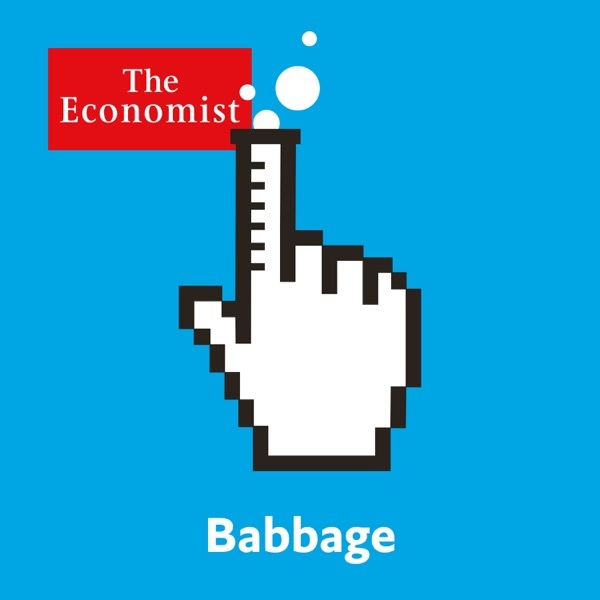 Babbage: One blockchain to rule them all? The FBI claims it may be able to bypass the privacy protections on a terrorist's Apple phone. But the broader dispute over balancing user privacy and national security remains.